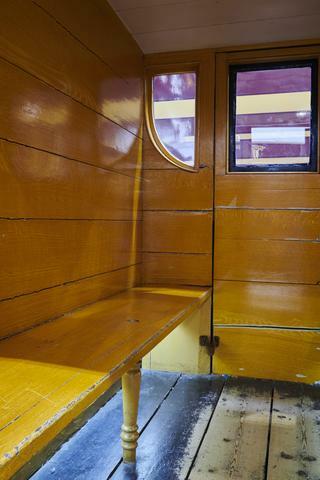 Railway carriage, Stockton & Darlington Railway, composite No 59, 1847, built by Tweed dale & Barton, Carlisle, at a cost of £245. 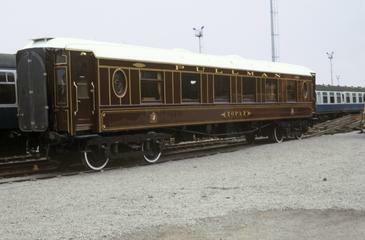 It remained in service until 1872. 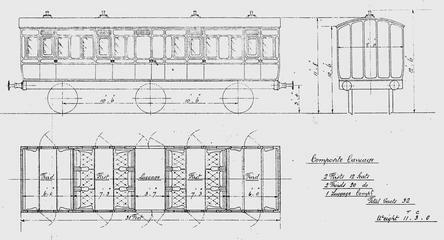 Carriage, Mark II D Carriage No. 5669 built at Derby Carriage works and completed in October 1971. 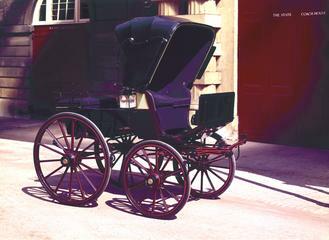 Lonsdale wagonette, also known as Lonsdale bus or Lonsdale break, a style of carriage thought to have first been designed and used by the Earl of Lonsdale towards the end of the 19th Century, or may have been based on an earlier type of the 1860s. The main characteristic is the style of hood, which folds up from the sides and meets in the middle rather than folding back to front. 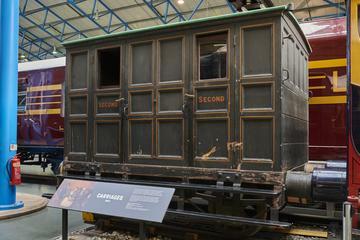 This is one of many Victorian carriages donated by HM King Edward VIII in 1936. Queen Victoria's personal Victoria carriage. Design descends from the French Milard carriage, brought to England by the Prince of Wales, Queen Victoria’s son, for his mother in 1869. 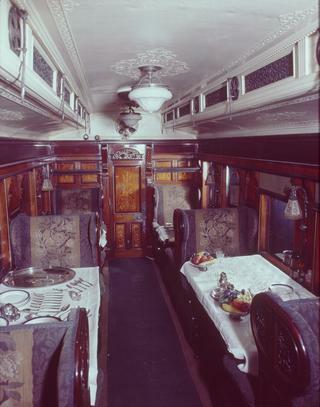 The English version was named Victoria in the Queen’s honour and became one of the most popular carriages of the 19th Century. Key feature is its low body and lack of doors for easy access. 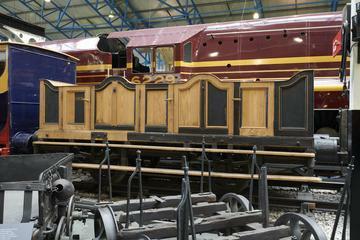 This was the last carriage to be used by Victoria on a journey to Osborne before her death. 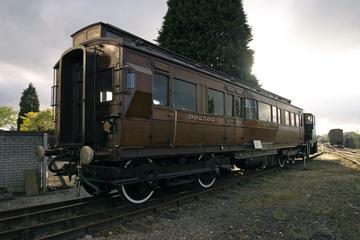 It was donated in 1936 by HM King Edward VIII with several other Victorian carriages.